Neighborhood BBQ Restaurant or Convert! Recently In Escrow--Back On Market. Jump On This Deal! Owner relocating to Northern Calif with his family and must say good bye to his BBQ Joint. Can you step into a popular community BBQ Restaurant that is already generating income? Add beer and wine. Add delivery. Add catering. Tremendous upside. 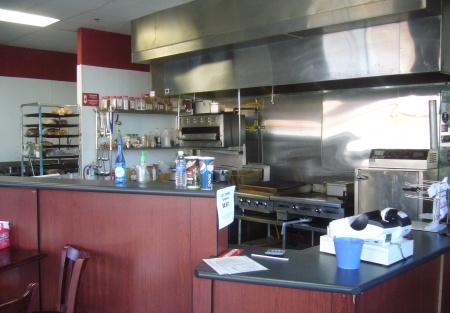 Complete with hood, smoker, walk in and everything you need to open in business. Fronts very busy street. Neighborhood BBQ restaurant features sit down and take out service. This popular restaurant is well known to a huge population of young families and is the stop off destination for many on their way home after a busy day. Current owner must relocate with his family and offers his business for sale, handing the BBQ Crown to the next King. This restaurant has a huge upside for the saavy operater. Get a Beer Wine License and Increase the bottom line! Get involved with 2 local High Schools Booster Clubs to increase sales! Offer authentic, smoked BBQ to a local community that is suburbia heaven. This huge concentration of families is the perfect customer for this BBQ concept. Let the current owner train you in the fine art of long smoking to produce a delicious dinner for your customers. Landlord is looking for qualified buyer. This will not last so if you are looking for BBQ, this may be your dream come true.